1. Review your present collection. Sometimes we forget what we already own. Take a look at the books you have and see what you collect the most, the different subjects and genres, or specific authors. This will help you have an organizing system if you don’t already have one. 2. Decide what to keep. Once I started organizing, I made resolutions for my own collection. I decided that I will only keep books that I really love, those that make me happy when I see them on my shelf. I will keep the books that the writing, story, and characters were so amazing that reading the book was a very good memory itself. There are a lot of unread books on my shelf and one of my projects is to read them all before I buy new ones. For the unread pile, I’m keeping those that I really want to read or finding them in second-hand stores was quite a challenge. 3. Get rid of books you no longer want or need. Sometimes, there are books that we really have to let go. We can give them to local donation drives. In my experience, there are many schools and libraries open to donations for their outreach programs. You may donate books to libraries but keep in mind that they may not accept everything because they also have policies. In my experience, I’d rather donate and sell these books because there might be people out there who will love it. It’s also good for the book – it just won’t stay unread and lonely on a shelf, it might find a new home in another place that will appreciate it more. Recently, I started selling my own books which are still in good condition but I don’t love enough to keep. I made a Malditang Librarian page in Carousell, a buy and sell app. I also listed some items in Facebook Marketplace and set up a Shop in the Malditang Librarian page. 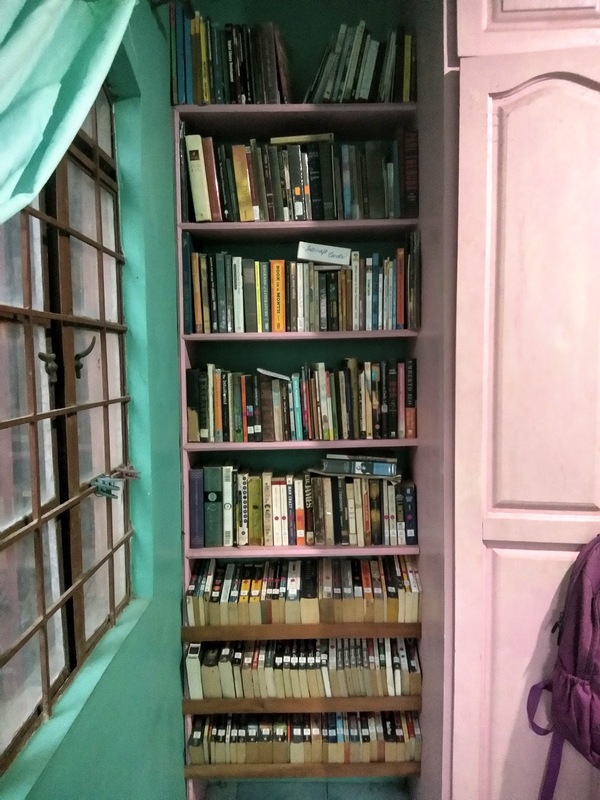 I joined some active groups like Buy and Sell Books Philippines. I had some buyers and I am more than happy to sell them the books because not only I am making some extra money, but also helping out another person who loves books and wants to read them. If you are also looking for cheap books, there are also many excellent finds. 4. Organize by genre, subject, or any classification for your convenience. The 10 subjects of the Dewey Decimal Classification is also a good guideline in organizing books. As for fiction books, most libraries organize them by author’s surname (this way, books by the same author are together). Everyone has a different method of organizing and different collections. There are also library organizing apps available like Librarika – you can organize your book collection and input each book’s data simply by scanning the barcode. This also makes it easy for you (and others) to browse your collection. 5. Have a goal in mind for your collection. My plans for my books is to not exceed the current shelf I have to prevent hoarding. I also want to support local literature by buying more books by Filipino authors, whether published by local or foreign publishers or self-published. My goal is to have a bookshelf full of books that I really love.